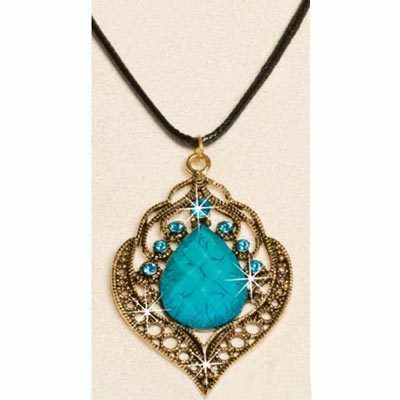 Brass-tones and rich blues combine to create this unique pendant. Intricate framework cradles the beautiful faceted stone and sparkling rhinestone accents. Imported. Pendant, 2 ½"l; Cord, 17"l with 2" extender. Hurry! Quantities are limited!